Speed (4.8V/6.0V) - 0.28 / 0.23 sec @ 60 deg. 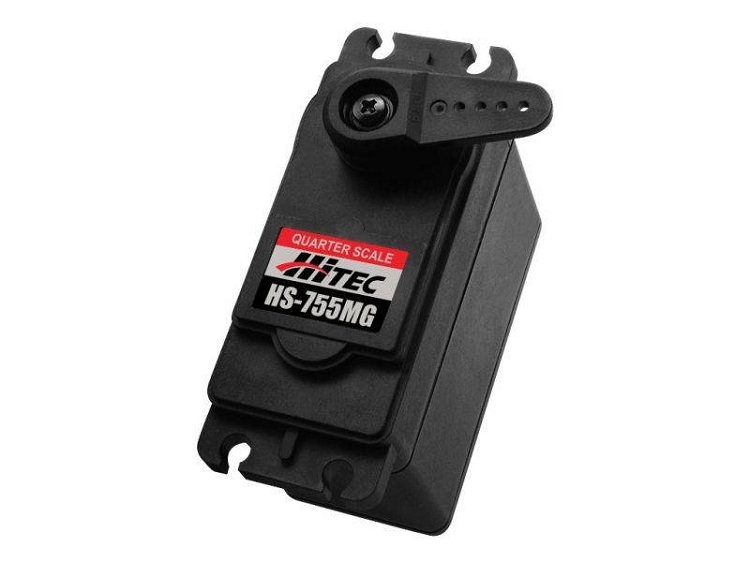 Hitecs expansive line-up of servos include the HS-755HB and HS-755MG giant scale servos offered with either the revolutionary Karbonite gears or metal gears. Both are perfect for larger R/C applications and feature dual ball bearings with a water and dust resistant case. The powerful HS-755MG delivers a whopping 200 oz./in. 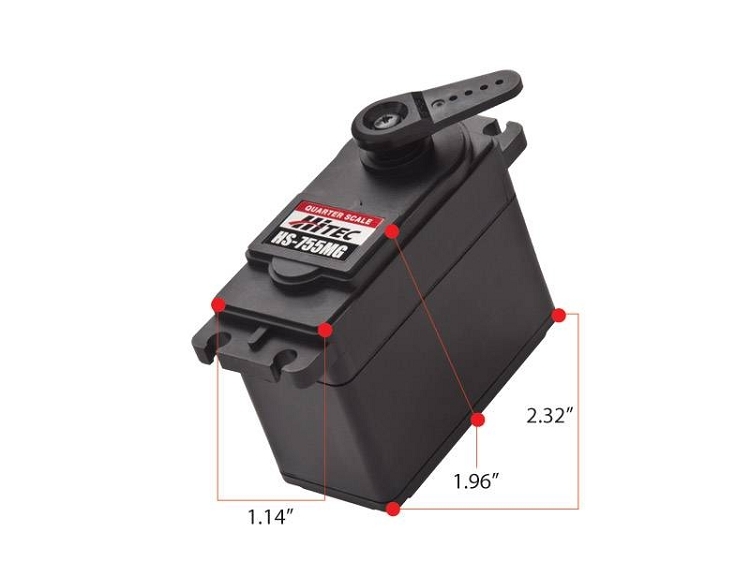 of torque and the HS-755HB delivers 183 oz./in. of torque at 6 volts.